Whether we like it or not mobile apps are beginning to rule our lives. From silly games to keep us occupied to fitness apps to keep us healthy, soon there will be an app for everything. There are a number of different apps out there to assist you in the process of moving house. We’ve put together a few of our favourites. Checklists are one of the most important items to have when moving house. You can have numerous checklists on the go at once while moving into your new home, which is why having them all in one app is a fantastic solution. The Moving Planner app already has pre-made lists with important jobs to do when moving such as things you should sort out from 6 weeks before you move to after you’ve moved. If there are some tasks that are unique to you and are not featured already on the app you are able to add more tasks. You can also delete tasks if they are not relevant to your move. To keep getting those important letters it is vital to inform all of your contacts about your change of address. There are probably a lot of organisations you will have to inform of your move, including banks, utility companies as well as friends and family. It can be a little overwhelming thinking about everyone you need to contact; so creating lists can help prevent you from forgetting someone. Address Checklist allows you to input all of the addresses you will need to inform of your move and then check them off once you’ve sent them. It’s as straightforward as that. The checklist is also incredibly useful for future reference, as you will have all the important addresses saved in one place on your phone. This is a handy app to have when you are moving house, with a whole selection of useful tools available. Not only does the app give you useful tips for each stage of the move but it can also let you input details about the move. You can also add notes on house viewings including the interior design of each room in the house, and details about the exterior of the property. You can also rate each part of the home. Additionally there is the option to jot down information about the local area, with the option to add photos of the house as well. This is incredibly useful when you are viewing several similar homes. 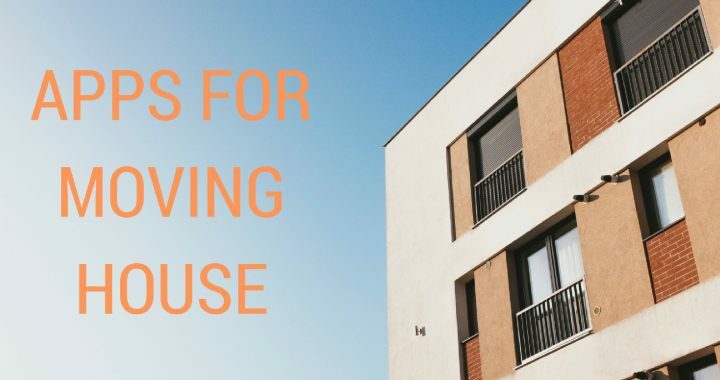 Moving house can be a stressful time, but there are many ways to make this time easier. Moving apps are just one of the ways to keep your move organised. Renting a storage unit is another way to keep your life organised and stress-free. You are able to keep the items you’ve already packed up safe and out of the way.